Recent changes to the federal grants program will help put more money into the pockets of students from low- and mid-income families. Full-time students from low-income families can now receive up to $3,000 in post-secondary education (PSE) grants. That’s a 50% increase over the previous $2,000 limit. The student grant limit also rises 50% for part-time students from low-income households from $1,200 to $1,800. If you’re a student from a mid-income family, the grant has increased from $800.00 to $1,200. The changes came into effect on August 1, 2016—just in time for the 2016/2017 academic year. Students entering a post-secondary school this fall are automatically assessed for the Canada Student Grant when they apply for student loans through their provinces. Those who qualify for a Canada Student Loan are automatically assessed whether or not they meet the requirements for most Canada Student Grants. Students can qualify for more than one grant. There are different criteria for eligibility for each of the different types of Canada Student Grants. You are eligible for a grant if you apply and qualify for student financial assistance and are enrolled in a full-time undergraduate degree, diploma, or certificate program that is at least two years, or 60 weeks, long at a designated post-secondary institution. The amount you can receive will depend on which Canada Student Grant you qualify for. If you are a student from a low-income family, you could receive $375.00 per month for each year of your undergraduate studies. You could receive a grant that pays you $150.00 per month for each year of undergraduate studies. The maximum you can receive from a Canada Student Grant for part-time studies is $1,800 per school year (August 1 to July 31). The amount of the grant for part-time students will not exceed your assessed needs. This grant is in addition to any grant you receive under the Canada Student Grant for Part-Time Studies. You could receive a maximum of $40.00 per week of study if you have one or two dependants, up to $60.00 per week of study if you have three or more dependents, or, up to a maximum of $1,920 per year. Through this grant, you could receive $2,000 for each school year of your undergraduate or graduate level studies. Through the Grant for Services and Equipment for Students with Permanent Disabilities, students can also receive up to $8,000 for each school year for undergraduate and graduate level studies. How do you apply for your Canada Student Grant? You don’t! 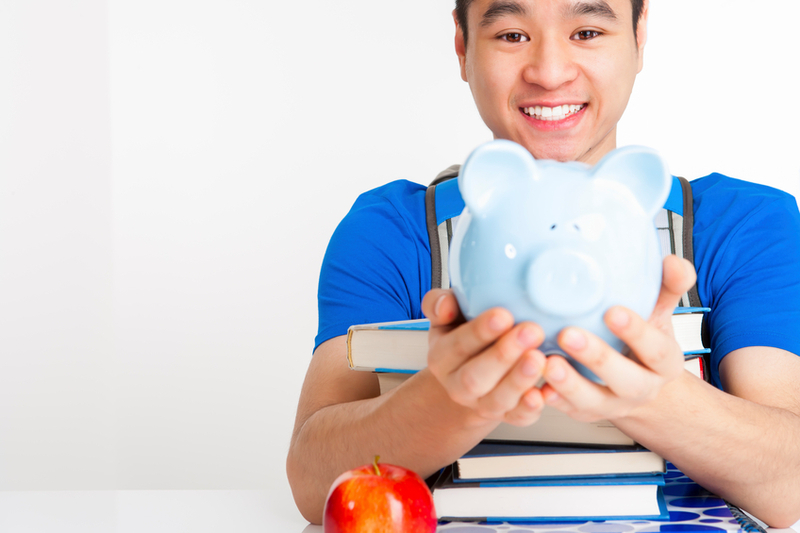 If you are student from a low-income or mid-income family, a full-time student with dependants, a part-time student, or a part-time student with dependents, you are automatically eligible for a Canada Student Grant when you apply and qualify for student financial assistance through the province or territory where you live. Those applying for the Canada Student Grant for Students with Permanent Disabilities or Canada Student Grant for Services and Equipment for Students with Permanent Disabilities, you need to contact your province or territory student financial assistance office. Changes to the Canada Student Grants make it more feasible for students from low- and mid-income families to attain a PSE. As a recognized leader and provider of RESPs in Canada, GRESP is one of the few companies that administer all provincial and federal grants to ensure our clients take advantage of all Canada Government Grants. GRESP is one of the fastest-growing companies in the RESP industry with offices in British Columbia, Alberta, Ontario, and Quebec, and hundreds of independent representatives across the country. Our experienced Dealing Representatives are dedicated professionals will provide you with the best advice and help you choose a RESP option that fits your long-term educational funding needs. If you’re interested in finding out more about Canada Student Grants or getting started with a RESP Plan, find a GRESP representative in your area. Or fill out a form and a Global Representative will contact you. 1. Freeman, J., “Student federal grants get bumped up starting August 1,” CBC, August 1, 2016; http://www.cbc.ca/news/canada/kitchener-waterloo/federal-student-grants-increased-aug-1-1.3700762. 2. “Canada Student Grant for Students from Low-Income Families,” Government of Canada, July 28, 2016;http://www.esdc.gc.ca/en/student_grants/csg/low_income.page. 3. “Canada Student Grant for Students from Middle-Income Families,” Government of Canada, July 29, 2016; http://www.esdc.gc.ca/en/student_grants/csg/middle_income.page. 4. “Canada Student Grant for Full-Time Students with Dependants,” Government of Canada, July 28, 2016; http://www.esdc.gc.ca/en/student_grants/csg/dependants.page. 5. “Canada Student Grants for Part-Time Studies,” Government of Canada, July 28, 2016; http://www.esdc.gc.ca/en/student_grants/csg/part_time.page. 6. “Canada Student Grant for Part-Time Students with Dependants,” Government of Canada, July 28, 2016; http://www.esdc.gc.ca/en/student_grants/csg/part_time_dependants.page. 7. “Canada Student Grant for Students with Permanent Disabilities,” Government of Canada, January 1, 2016; http://www.esdc.gc.ca/en/student_grants/csg/disabilities.page. 8. “Canada Student Grant for Services and Equipment for Students with Permanent Disabilities,” Government of Canada, January 1, 2016; http://www.esdc.gc.ca/en/student_grants/csg/disabilities_service_equipement.page.